This dining side chair features a splat back design that is impossible not to love. Boost the cottage feel of your dining space by adding this piece, which has an antique white finish that gives it a charming distressed look. Faceted front legs and curved back legs are just a couple of the characteristics that give this transitional piece its magic. 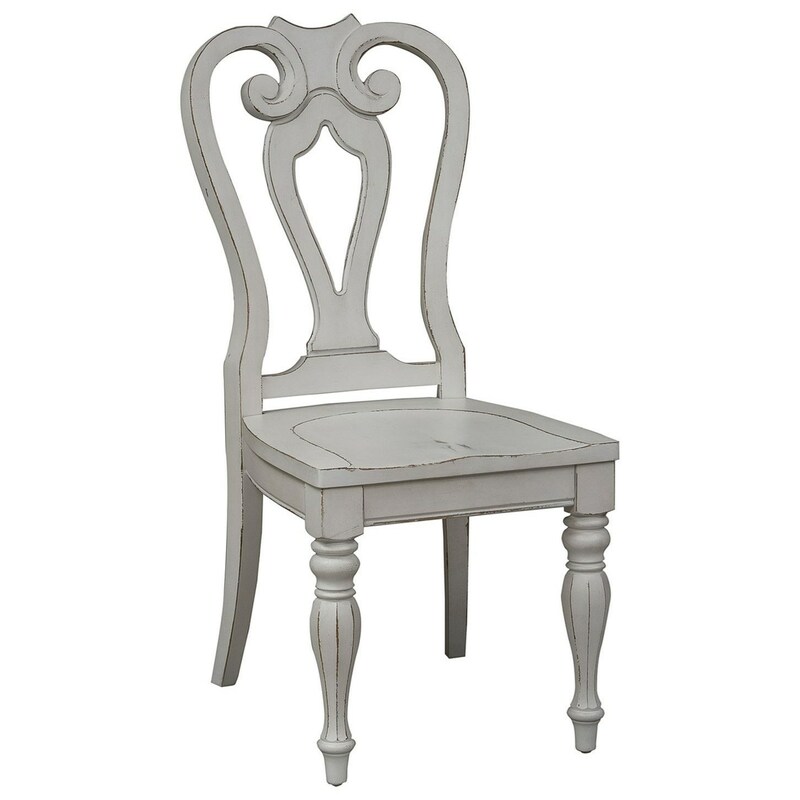 The Magnolia Manor Dining Splat Back Side Chair by Liberty Furniture at Zak's Home in the Tri-Cities, Johnson City, Tennessee area. Product availability may vary. Contact us for the most current availability on this product. The Magnolia Manor Dining collection is a great option if you are looking for furniture in the Tri-Cities, Johnson City, Tennessee area. Browse other items in the Magnolia Manor Dining collection from Zak's Home in the Tri-Cities, Johnson City, Tennessee area.